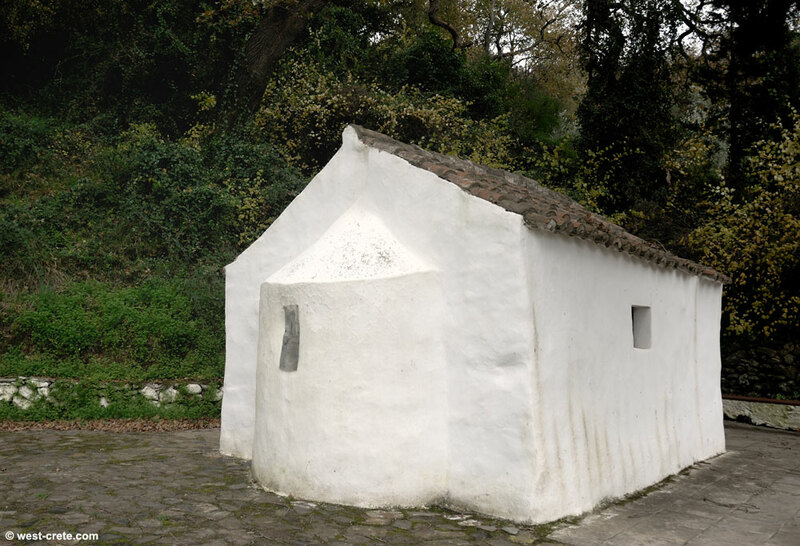 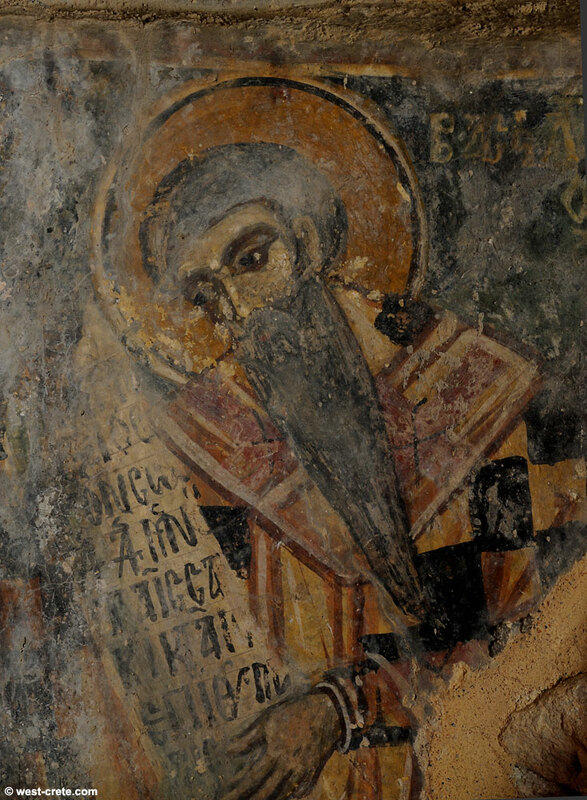 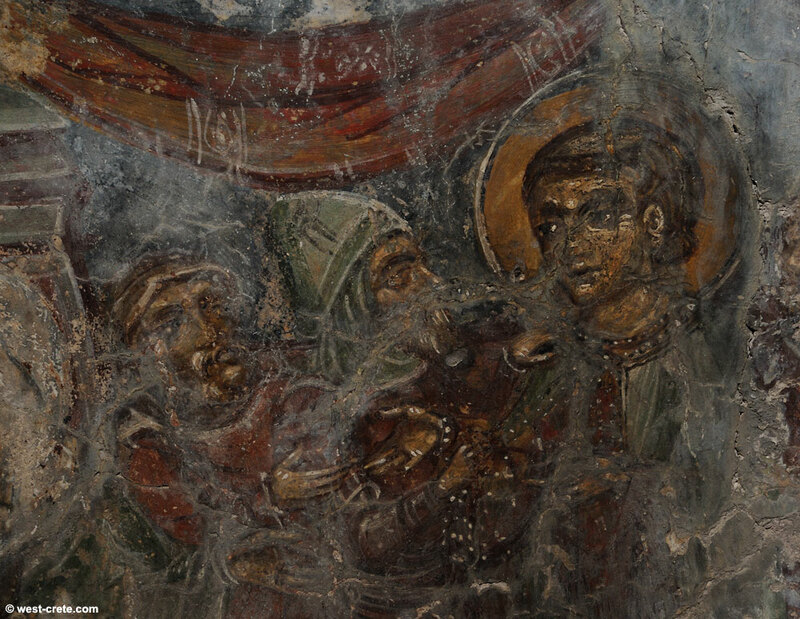 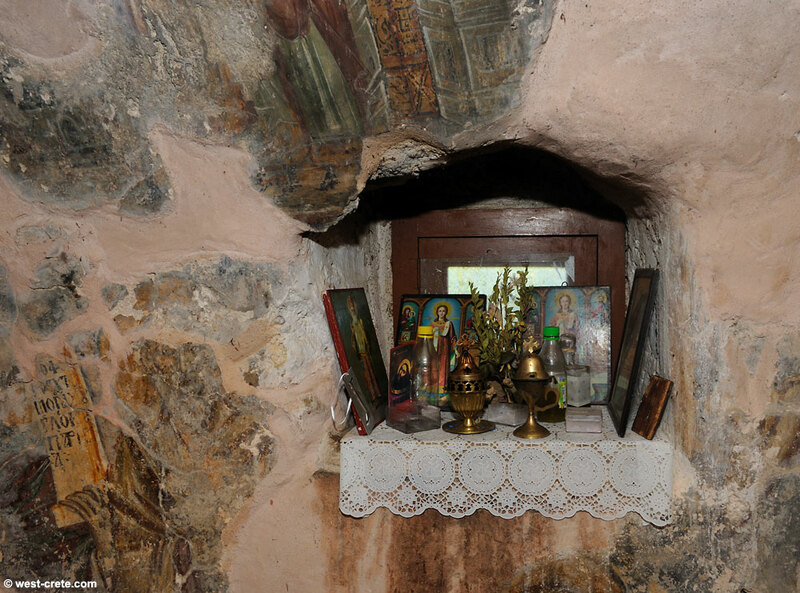 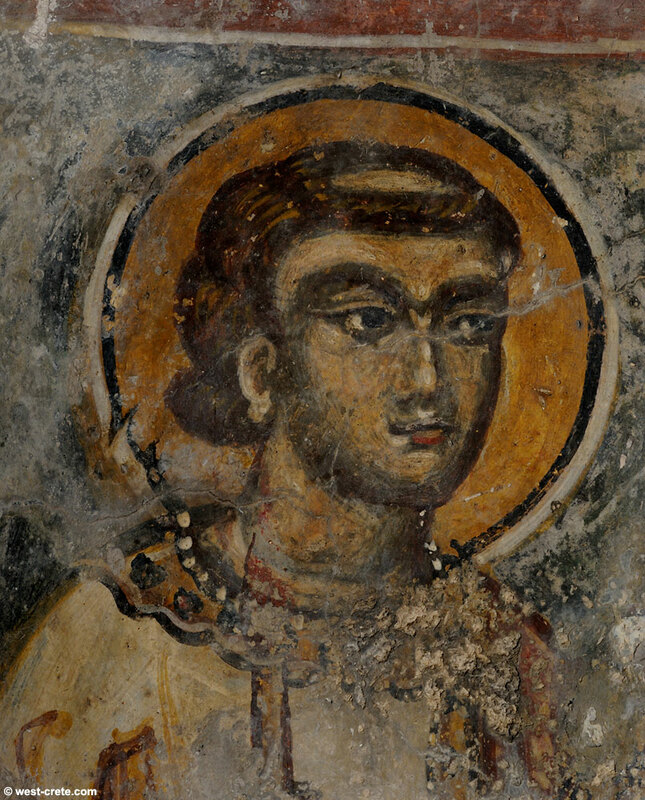 The chapel of Agios Stefanos dates back to the 10th century. 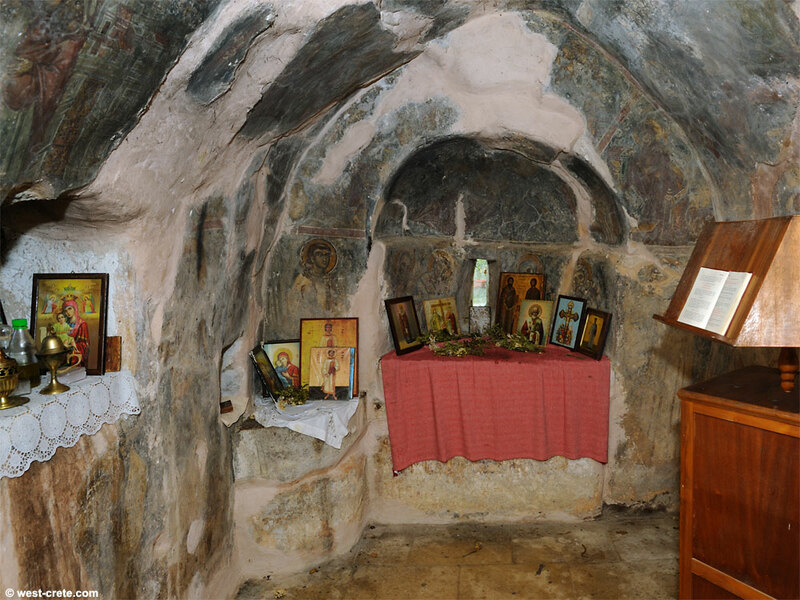 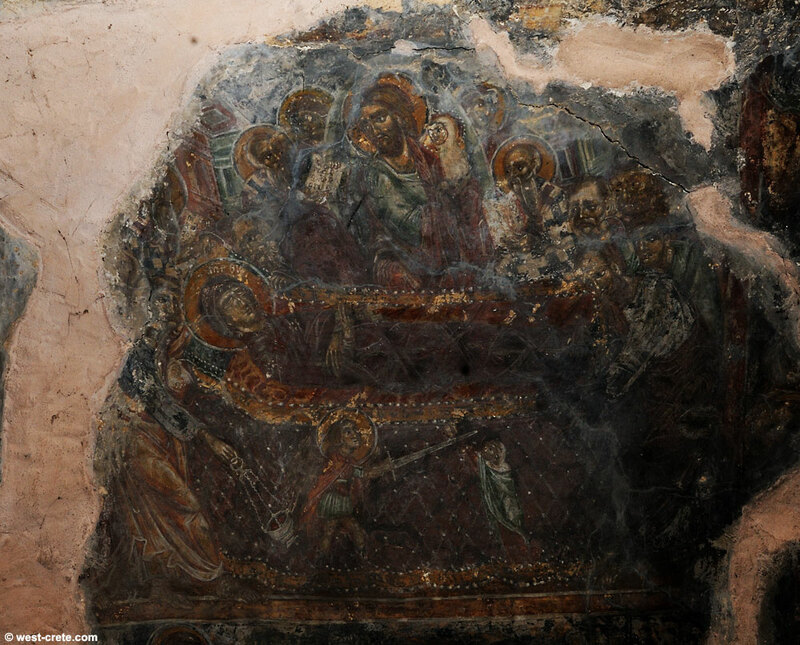 It is located about 9km south of Kolymbari on on the road that goes to the church of the Rotonda in Episkopi. 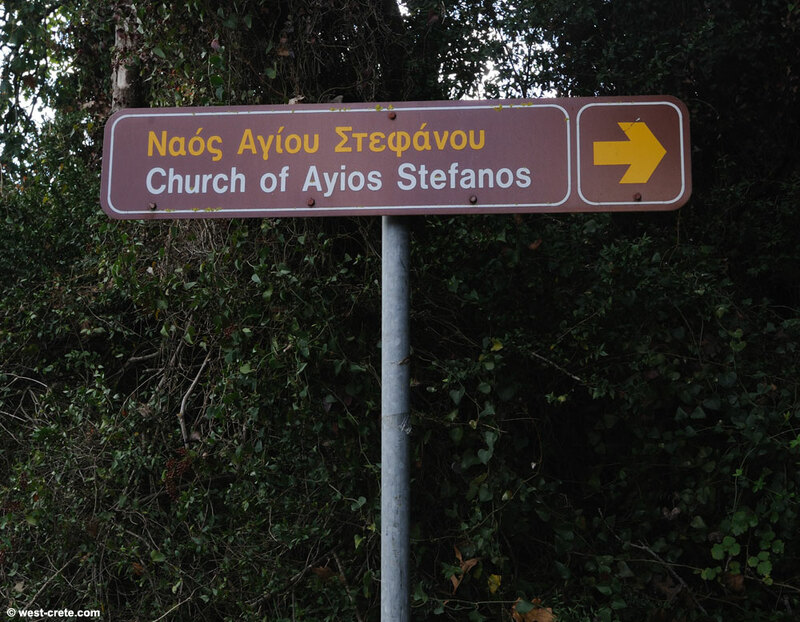 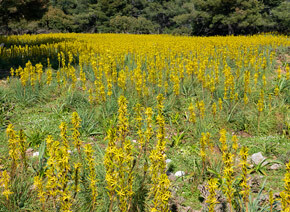 About 2.5km after you pass the village of Spilia, in a curve after the village of Drakonas, you will see a small sign to "Church of Agios Stefanos" pointing towards a small forest. 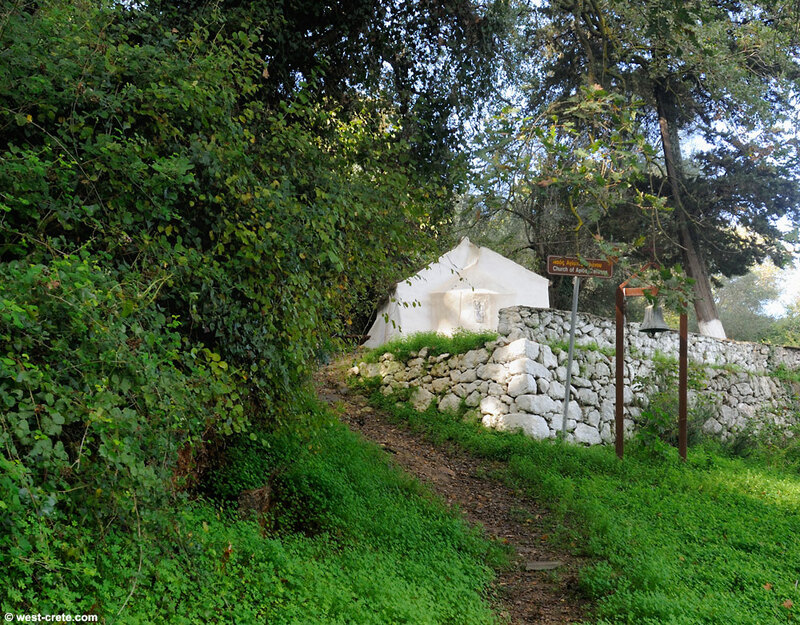 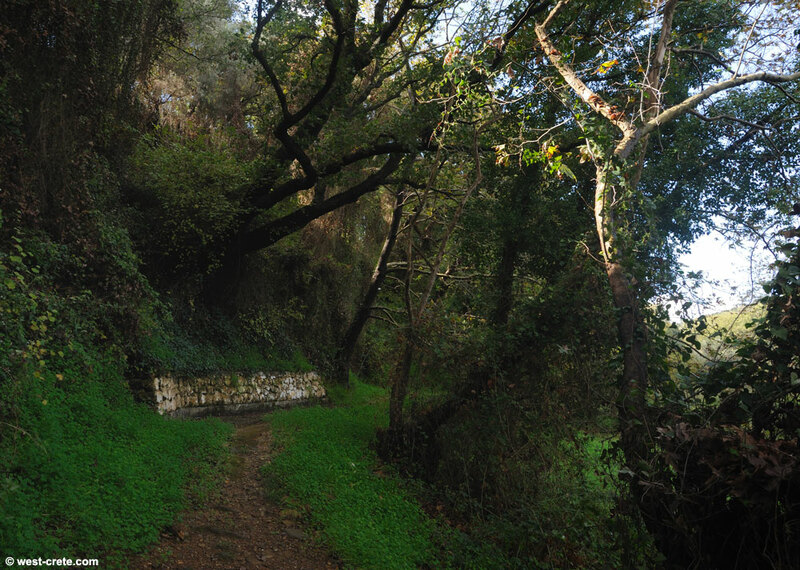 From the road it is a 3 minutes walk on a small path shaded by tall trees to the tiny chapel. 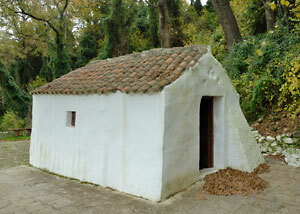 If you are lucky enough to come at the right time (early spring) the area is full of Cretan cyclamen. 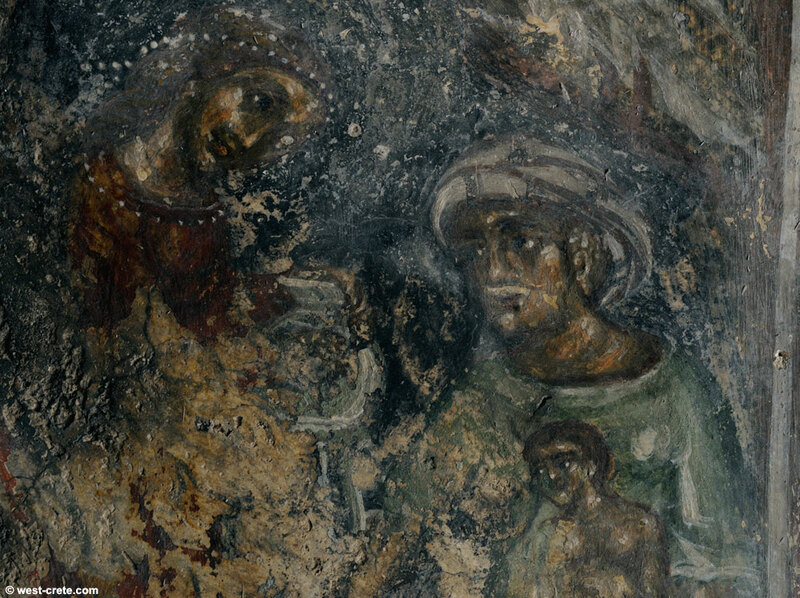 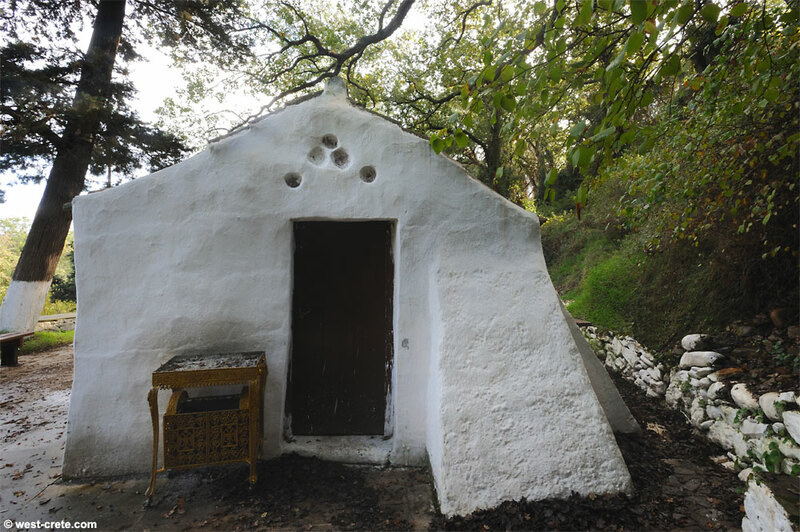 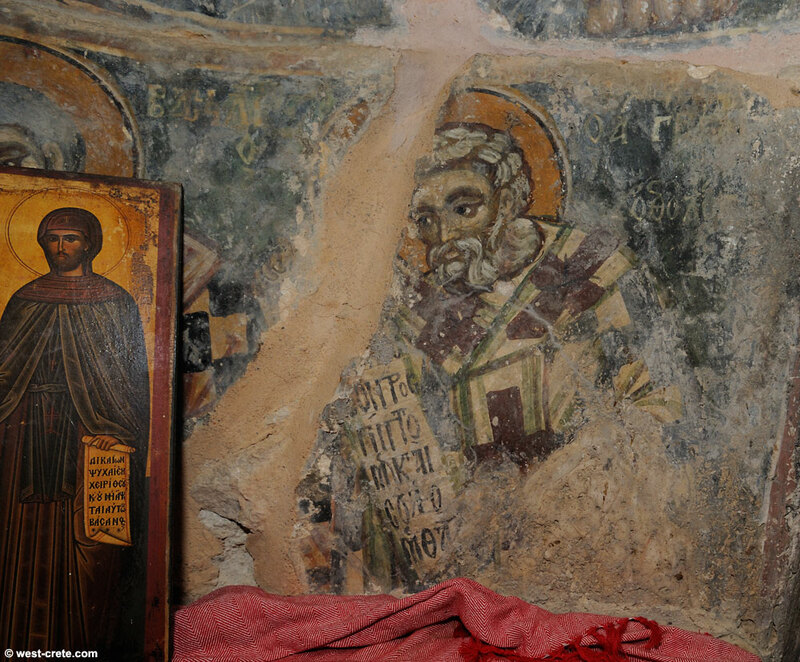 The tiny chapel is still open to the public (in 2013) and has beautiful frescoes and is really worth a visit. 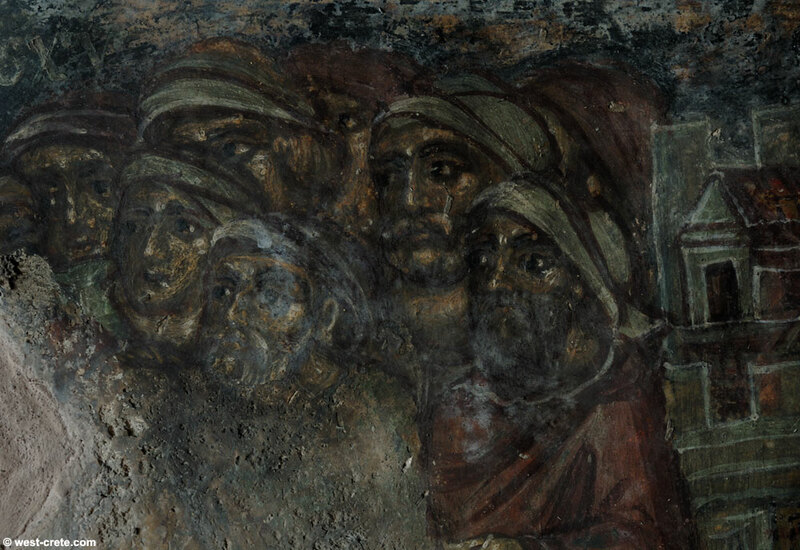 The interior of the church is very dark so you will need a torch to appreciate them.